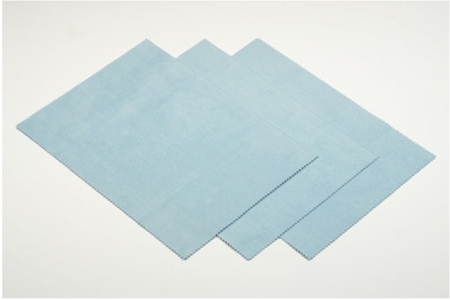 Tamiya presents this set of three 260mmX190mm compound application cloths for use in plastic model building. These soft, delicate cloths made with ultra-fine microfibers and are ideal for applying Tamiya Polishing Compound and Tamiya Modeling Wax, giving the model"s surface a beautiful mirror-like finish. Even on clear parts, these cloths will not leave any blemishes, so they will greatly improve polishing efficiency. With one blue, one pink, and one white cloth in this set, you can easily designate the cloths for use with specific types of compound.